A true taste of local culture is visiting the Fish Market in George Town – just minutes away from Aqua Bay Club. Local fishermen sell their locally caught fish, where you have the opportunity to buy the freshest and best of what the market has to offer. 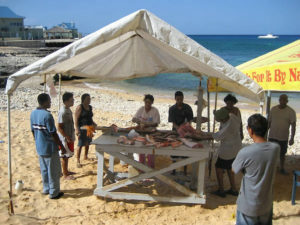 The fishermen can explain the best way to prepare and cook the fish – Caribbean style! You’ll often find freshly caught mahi-mahi, parrot fish, barracuda, and red and black snapper. 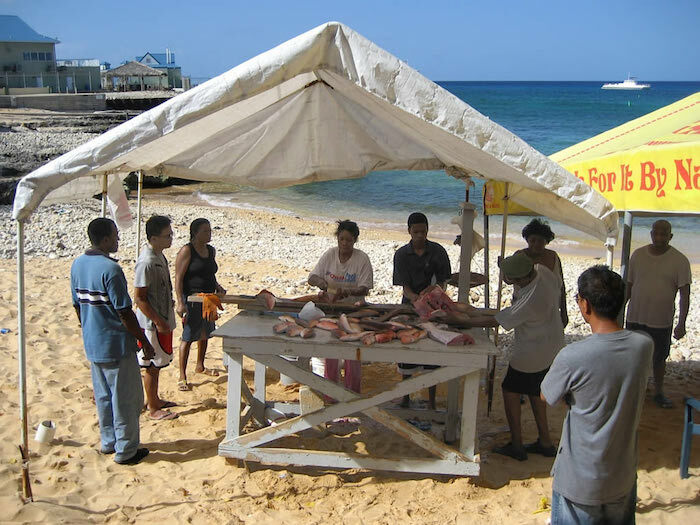 Head to the Fish Market during your stay at Aqua Bay Club to support the local fishermen and learn more about their culture. All fish is sold by the pound, and you can purchase it scaled and cleaned, sold to you whole, or even filleted. This is a great opportunity to use our BBQ Grill back at the resort to cook a locally-inspired feast for your friends and family. The Fish Market is located on North Church Street, George Town, just ask our front desk for more information.